For the New Year, What is Your Dress Size Going to Be? The season of eating has ended. From Halloween candy corn to New Year’s Eve egg nog, we had Christmas and Hanukkah feasts and many parties in between – and that means weight gain. 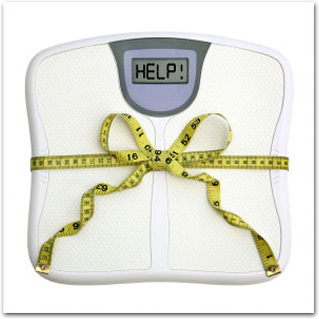 I have the solution at the end of this blog… Long term studies have shown that we gain a large proportion of our yearly weight gain over the holiday season, and more importantly that weight is NOT lost during the rest of the year. Magazine article, after blog entry, after nutritionist tip will tell you: 1) exercise more 2) drink less 3) eat less 4) try these low-calorie, low-fat (yucky) recipes 5) focus on socializing If anyone could follow these tips they would not be gaining weight over the holidays. If you gained weight last holiday season, if you gained weight during the 2015 holiday season, and the 2016 festivities… you probably can’t exercise more, drink less, eat less and focus on socializing – OR YOU WOULD HAVE. During the Skinny Coach Get Skinny For the Holiday – a special group of 7 women started the SKINNY COACH SOLUTION DIET and together they lost over 100 pounds by the New Year (check them out). RIGHT NOW you can be part of the Get Skinny for the New Year Group — How much will you lose after New Year’s Day? Which Dress will you be wearing after New Year’s Day? This year don’t gain weight… AND don’t disappoint yourself with another broken New Year’s resolution, but actually get control over your eating and turn your belly fat into belly flat! Email me or give me a call (310) 633-1333 – space is limited. Posted in Body, Coaching, Dieting, Happiness, Health, Holidays and tagged new year, new year's day, new year's resolution, new years eve on January 2, 2016 by tiffany.